So this post goes out to my Mommy who has been my Valentine since as long as I can remember. Yesh I'm not for Valentines Day but she always got me something every year so she will get to be my Valentine forevers. So you boys just tough out of luck... even if I marry an icky boy one day, my mommy will always be my Valentines. There is no shame in that. I'm sures the boyfriends will understands and if he don'ts pffffs! No chocolate kisses for you Misters! So for all those whom love your momma and they are your Valentines this ones for you! So don't forget to wish your momma a Happy Valentines Day! Cause love isn't just about your partner, there are so many levels of love out there. Love you momma (both my RL and SL mothers) This song is for you! For all the mommas!! I'd also like to welcome to my family a new sponsor. YAY AND STUFF! 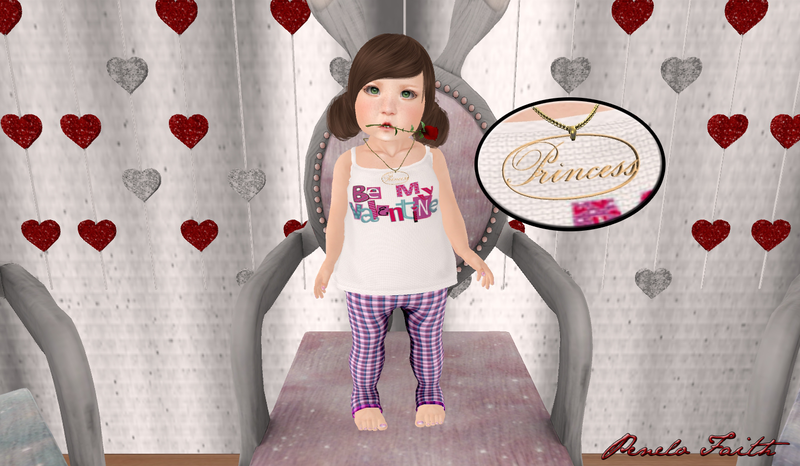 Welcome to my family Little Stars, a designer of lovely toddleedoo things. So of course I had to show her off today! Bienvenida! WARNING :: Frogstar's bunny chairs do contain Adult poses. I think they are adorable for decor BUT should not be used by child avatars. I felt the need to make that clear. I didn't want anyone finding out the hard way or being offended. With that said here is also a link to child avatar guidelines for anyone wondering why I felt the need to mention what I did! TOS Child Avatar. Frogstar's chairs come in five colors there is also a darker version which is also comes in five colors. At the moment she doesn't have PG versions of this set but after talking to her she "might" make a PG version of the pastel colors. She does have a bunny boy chair that is a group gift that IS PG. It is currently available only in one color for PG. But just you wait she has more up her sleeve. 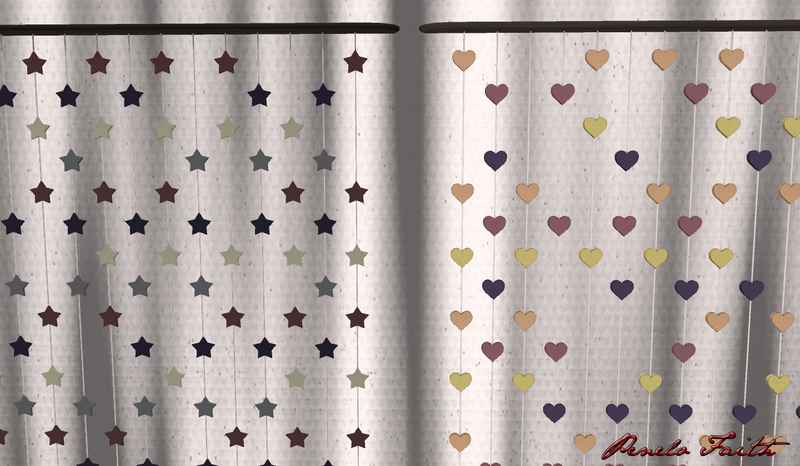 Below is a photo of both versions of Frogstar's Garlands both Star shape and hearts. There are a total of eight commons and two rares. Of course with ZOZ's nail polish you get nine colors in one hud. On the above photo is a screenshot of the actual hud. Also available for ZOZ mesh nails and Maitreya Mesh Body. Rowena's Dress also comes with a hud so you can turn that red dress into something not red! It has five colors on the hud. You can also make your vest a different color from your skirt so you have plenty of combinations to come up with! - finally takes a breathe - Phew that was a lot of information for me to blab out!